Black Woman Takes Over For Publisher Who Called For KKK To 'Ride Again' The new publisher and editor of The Democrat-Reporter, Elecia R. Dexter, took the reins on Thursday, after Goodloe Sutton doubled down on his incendiary comments. 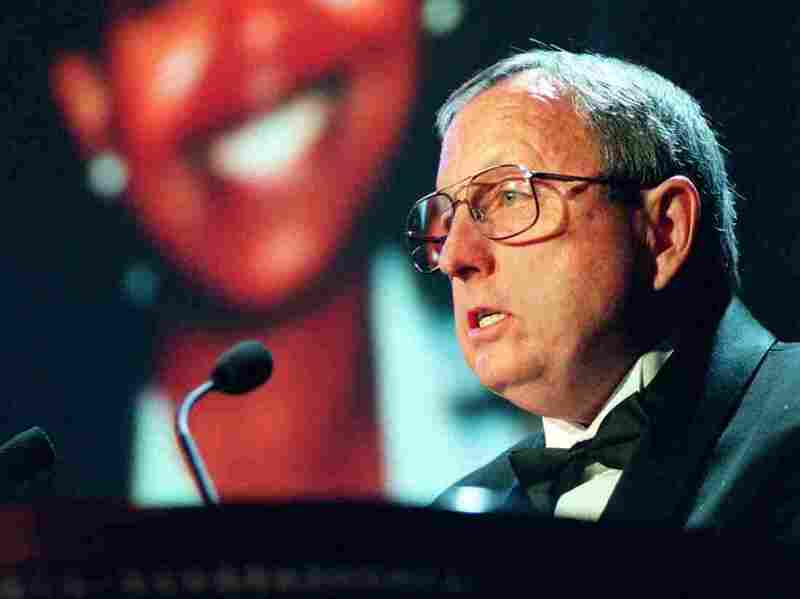 Goodloe Sutton, shown here at an awards ceremony in 1998, has turned over control of The Democrat-Reporter to Elecia Dexter. "If we could get the Klan to go up there and clean out D.C., we'd all been better off," Sutton told the Montgomery Advertiser. "We'll get the hemp ropes out, loop them over a tall limb and hang all of them." The original editorial, published without an author named, claimed that Democrats and Republicans were "plotting to raise taxes in Alabama." It stated: "Seems like the Klan would be welcome to raid the gated communities up there." Sutton confirmed to the Advertiser that he wrote the piece. In a statement, the newspaper said it "has provided the community of West Alabama with quality news for over 140 years and you may have full confidence that Ms. Dexter will continue in this tradition as well as moving the paper into a new direction." It noted that Dexter's family "has strong roots and a rich history in Marengo County." "Everything has been a little surreal, and there's a lot going on," Dexter said in an interview with The Washington Post. "I'm grateful for this opportunity." She told the Post that she had been working at the paper for about six weeks as a front office clerk when the editorial was published. She said she felt disappointed and talked to Sutton about it. "[He] took a group that has a lot of negativity associated to it, especially for people like me, of color," Dexter said, according to the Post. "There are different ways to communicate you wanted Washington to be cleaned up without using that particular reference." According to the Democrat-Reporter, Dexter holds a bachelor's degree in speech communication from Eastern Illinois University and two masters degrees: one in human services from Spertus Institute of Jewish Studies and another in Counseling from Argosy University. "Over the past 10 years, she has been a strategic leader with expertise in human resources, operations and change management," the paper said. Dexter told NPR in an email that Sutton remains the owner of the paper. Alabama lawmakers celebrated the change in editorial leadership. "His dangerous views do not represent Alabama or the small-town papers in Alabama that do great work every day," Sen. Doug Jones, a Democrat, said in a tweet. "The good people of Linden deserve so much better than these racist rants and I am confident they will get it with new editor, Elecia Dexter." Rep. Terri Sewell, D-Ala., called Sutton's stepping down "the right thing to do." She called for Sutton to apologize. As NPR's Sasha Ingber has noted, the editorial did not appear on the paper's website. But photos of the print story were tweeted by Auburn University students, leading to national attention on the Democrat-Reporter. Sutton has received accolades for his paper's investigative work, as Ingber reported: "In the 1990s, "Ole Goodloe" exposed corruption in the Marengo County sheriff's department, receiving numerous awards for his investigative reporting, including a Hugh M. Hefner First Amendment Award and the Society of Professional Journalists' Sunshine Award." At the same time, as The Associated Press noted, "Sutton has a history of publishing racially and ethnically insensitive editorials." Several organizations have stripped Sutton of awards. Auburn University had awarded him and his deceased wife Jean Sutton its Distinguished Alabama Community Journalist Award in 2009 – now, an Auburn official said that it has withdrawn Sutton's award and only recognizes Jean Sutton. And as Kyle Gassiott of Troy University Public Radio reported, "The University of Southern Mississippi removed Sutton from its hall of fame, and the Alabama Press Association formally censured him."